Lips are one of the most defining features of the face, which is why many seek the perfect, full pout. Whether your lips have lost volume with age, you have naturally thin lips, or you would just like to enhance or change the size and shape of your lips, the options can be overwhelming. Fortunately, there are a number of options to change the size or shape of your lips without surgery or downtime. At Re: Nu 180 Med Spa in Newington, CT we offer lip injections utilizing hyaluronic acid dermal fillers like Juvederm and Restylane. Our lip injection treatment is fast, safe, effective and can give you the results you want without surgery or downtime. For more information about lip injections, come visit our Newington med spa today or call to book your free consultation! Lips often thin with age and many struggle with thin lips to begin with. Lip injections can provide a simple solution to these common concerns by adding fullness or changing the shape of the lips. At Re:Nu 180 Med Spa we use Juvederm and Restylane for our lip injections, both of which are made up of hyaluronic acid, a substance that naturally occurs in the body. Before your lip injection treatment at our Newington med spa, we will have a consultation with you to address your concerns and help develop the best treatment plan for you, so you get the results you want. Depending on your desired results we may recommend a certain product or amount of product. Before your treatment we will numb the lip area with a topical cream to ensure maximum comfort throughout your entire treatment. Your practitioner will then administer a series of injections to the lips followed by a massage to the treated area to ensure even product distribution. Side effects are generally minimal* but can include swelling, redness, or tenderness in the area. However, most side effects resolve within a few hours or days following treatment. There is no downtime required with lip injections and you are free to return to most normal activities following treatment. Your provider will provide you with complete aftercare instructions after your lip injection treatment. Results from lip injection treatment are immediate, however, the best results are seen after swelling has had a chance to subside. 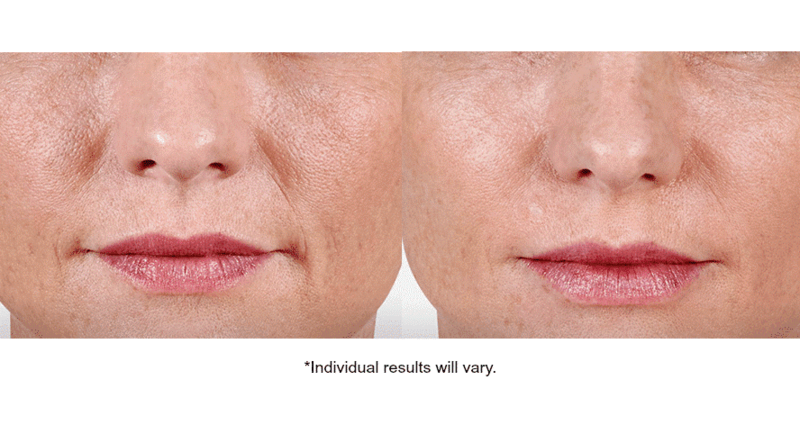 Depending on how much product is used and what product your provider selects for you, most patients can expect their results to last anywhere from 6 to 9 months. At this time, we recommend following up at our Newington med spa and repeating treatment to maintain results. Get the beautiful, full lips you want without surgery or downtime! At Re:Nu 180 Med Spa in Newington, CT, our passion is providing our patients with results that make them look and feel great. Our lip injection treatments with Juvederm and Restylane are safe, fast, and effective, providing you with the look you want, without the recovery time. For more information about our lip injection treatments or our other med spa services, give us a call to book your free consultation today! *Disclaimer: Individual Results may vary. Any pictures or information provided does not guarantee results, patient experience, or candidacy for treatment. A comprehensive consultation is required before any treatment at Re:Nu 180 Med Spa in Newington, CT.